The advice falls short of a formal travel warning, issued for war-afflicted countries like Afghanistan, Iraq or Yemen, which would make obtaining travel insurance harder. 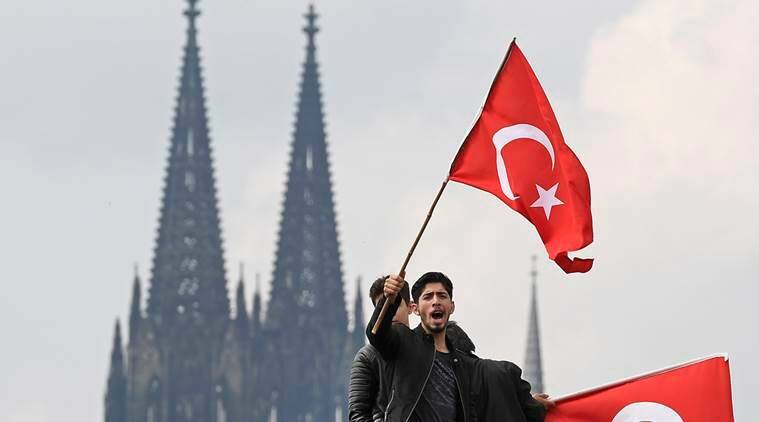 Germany’s foreign ministry has warned its citizens travelling to Turkey that they risk arbitrary detention even in tourist areas, revising its travel advice after a spate of arrests of German citizens that it considers politically motivated. The change in travel advice, issued on Tuesday, marks a new low in relations between the NATO allies and is a blow for the tourist sector, which has already been hit by militant attacks and the fall-out from last year’s failed coup attempt in Turkey. The trigger for the sharpening of the travel advice was the detention at the coastal Antalya airport last week of two Germans, one of whom has since been released. Berlin believes they, like 11 others, were detained for political reasons. “There is a risk of similar detentions in all parts of Turkey, including in tourist regions,” the new advice reads. It falls short of a formal travel warning, issued for war-afflicted countries like Afghanistan, Iraq or Yemen, which would make obtaining travel insurance harder. “We can’t take from tourists the decision whether to travel or not,” Foreign Minister Sigmar Gabriel said. “But we have described in detail what you should be aware of before you go.” Large numbers of European citizens have been caught up in the crackdown following last year’s failed coup against President Tayyip Erdogan, in the wake of which tens of thousands of Turks have been imprisoned on “terrorism” charges. Critics say the crackdown amounts to an undiscriminating purge of Erdogan’s opponents.